1) is the battery too low to turn over the starter mechanism that turns the gear/flywheel? 2) Does the starter gear have to fully extended before it turns over? Meaning - is the reason why it's not trying to turn is because it is not fully extending/it's not fully engaging flywheel, if so, then why is it not? Do I have to adjust something, I've seen comments on shims? My gut says to try another starter to be sure the REMAN is not defective. Second, if shims are the answer how to do I setup the shims in the correct manner (never done them)? 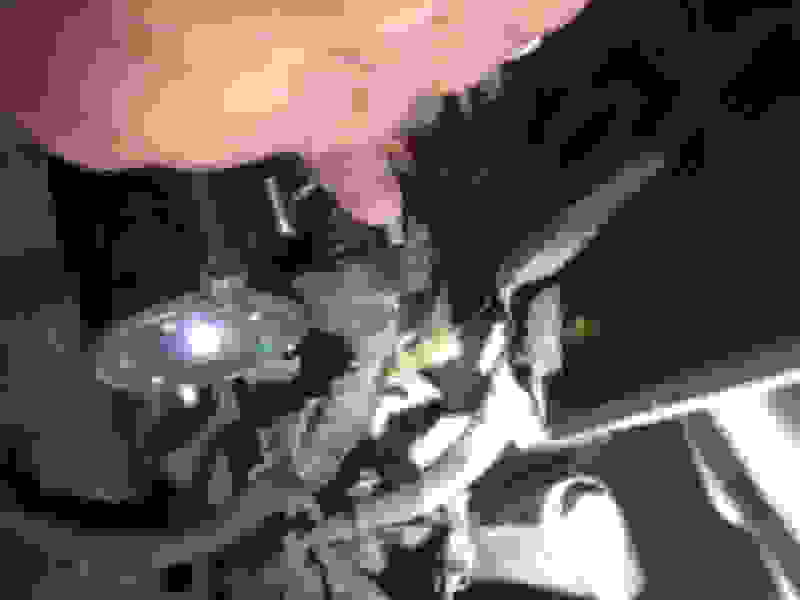 Bad battery, bad reman starter, or bad + battery cable connecting battery to the starter. A bad ground is another possibility as well. What is the battery voltage before you start the car? What is the battery voltage when the engine is running? 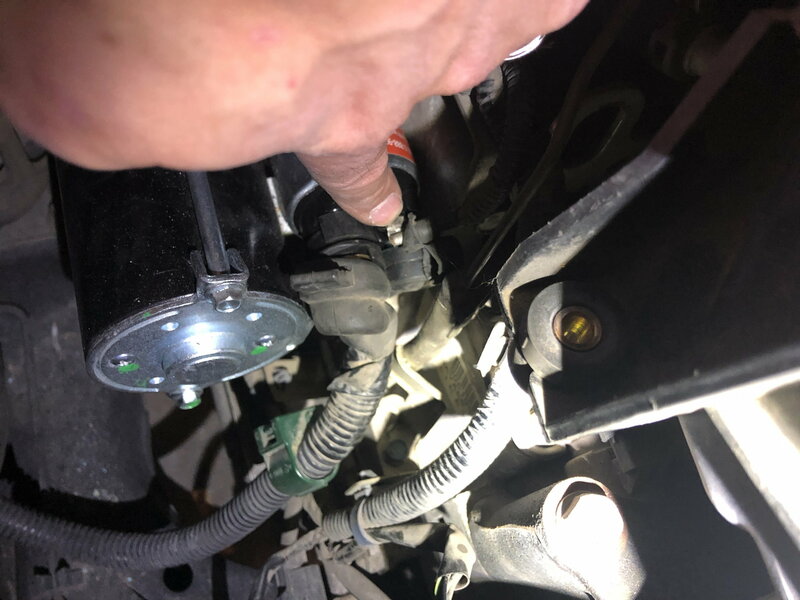 Measure the voltage between the + battery post and the + connection on the starter when trying to start the engine. Keep the wire connected. The voltage should be zero or close to zero. Battery is new. Took reman starter back to store. They put it on test bench and it worked normally. So those are good. I checked all fuses, nothing blown (inside and out). Im still just getting the clicking sound with not rotation of the starter. I’m not good at the electrical side of the house. battery is good. Reman bench tested perfectly. I have electrical tester. It’s set as pictured when i tested the terminals on the starter. With battery installed and multimeter set as pictured, before turning key, I got a 12v reading. 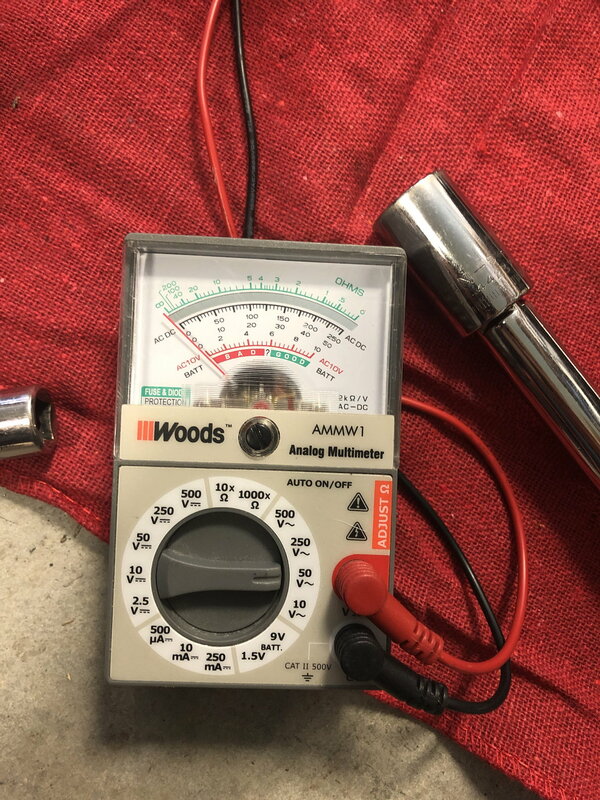 When my son turned key (positive tester cable was on battery positive and negative tester cable was connected to the small slide on plug on the starter) the reading went down to zero. Sean, battery is good. As far as doing correctly, well, I did exactly what I said I did in the previous post. If that is an incorrect way that’s one thing. But I’m sure that I did exactly what I posted. Positive to positive. Negative to the small slide on plug. Previous photo I am pointing to the plug where the negative tester cable was connected. It read normal when sitting there. When key was turned it snapped to zero. I’m not an electrical guy so no clue if that correct. I was referencing first reply suggestion. No, did not disable ignition. It’s doing the same thing it was with the original starter in when the problem first came up. Going to try another starter just in case. From there, well, not sure.